Last Saturday was a day of celebration for the international students of Goshen College. The International Student Club or “ISC” held their annual Coffeehouse celebration. 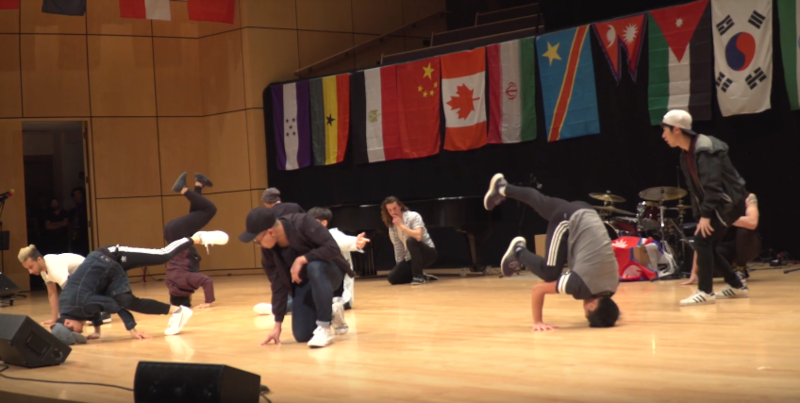 The annual Coffeehouse showcases Goshen College students from around the world as they perform various music and cultural dance. Beginning the Coffeehouse at 7 p.m. Goshen College’s Sauder Concert Hall was packed with students, faculty, and community members, filling seats all the way to the balcony. The proceeds of the show go to fund various projects, like scholarship aid to international students so they may continue to seek out higher education. Senior international student, Nimoy Vaidya, spoke about his experience at Goshen College and how important the Coffeehouse is to all international students. Acknowledging the financial assistance the special show brings but also commenting on what this show means to many students at Goshen College, who are far away from their homes and families, allowing them to perform their passions for the community they have made their home and for their families around the Globe watching in via livestream. The evening came to a close with scholarships being awarded to four international students; Nasim Rasoulipour, Mandira Panta, Yejin Kim, and Nithya Abraham. Afterwords attendees had a chance to mingle with the performers and congratulate them on a spectacular show.